Why Did Resistance Never Get As Big As Halo? Maybe It Changed Too Much. Resistance started out as a Halo clone. It was to be Sony's answer to Microsoft, the PlayStation's own sci-fi shooter and killer app. It was to sell millions and earn its own base of rabid fans. That never happened. While Resistance did okay, it never quite became the blockbuster Sony and developer Insomniac were hoping it would be. 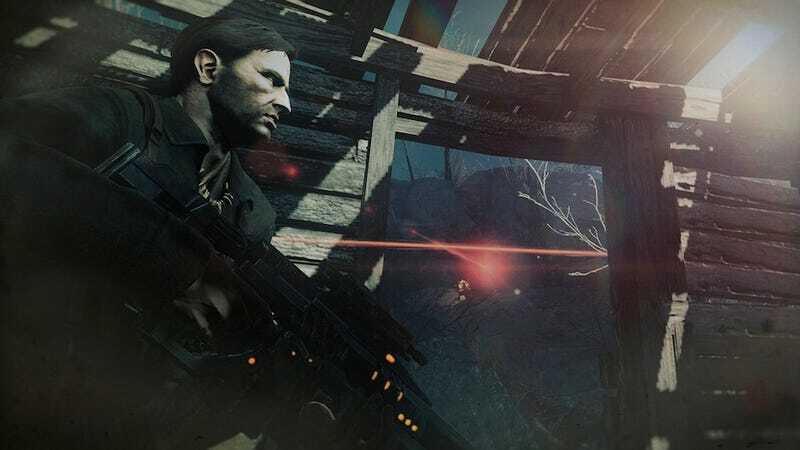 And the developer officially called it quits on the shooter series earlier this year (although Sony could very well keep it going with a new developer—the poorly-received Resistance: Burning Skies was made by a different studio, Nihilistic). So why did Resistance never become Sony's Halo? I asked Insomniac CEO Ted Price for his thoughts during a recent interview. "We have theories internally about why Resistance wasn't a Halo," Price told me. "One is that we changed the game a lot in Resistance 2, and we surprised players in a way that perhaps wasn't what was expected. And that may have not been a good thing. By changing up some of the core mechanics and— we got a lot of strong feedback when we did that." Maybe that's why the series never sold gangbusters: it changed too much. "On Resistance 3, we went back to some of our more traditional core mechanics that players did love, and then built a story that was more personal," Price said. "That in our opinion was the way to move the franchise forward in a way that was unique for first-person shooters. We're really proud of Resistance 3. The team felt very personally connected to Resistance 3." I also asked Price how he felt about the Vita's critically-panned Resistance: Burning Skies. "For Resistance, we didnt have the bandwidth to move onto the Vita," Price said. "We were really happy that Nihilistic went ahead and created their own vision of Resistance, and we feel very close to the franchise cause we created it, but it's always interesting to see what other people do with it." "Did you play it?" I asked. "A little bit of it," he said. "Did you enjoy what you played?" I asked. "Frankly, I was spending a lot more time playing our own games."